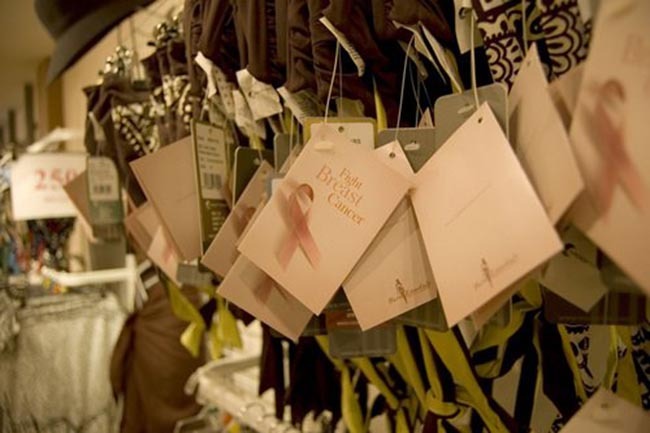 Dubai advertising agency Memac Ogilvy and lingerie and swimwear boutique Bare Essentials have teamed up to run a breast cancer awareness campaign featuring a one-breasted mannequin. How do you create awareness for breast cancer in a society where talking about breats is already a taboo? In this case the agency had to reach women directly and educate them on the importance of self-examination. 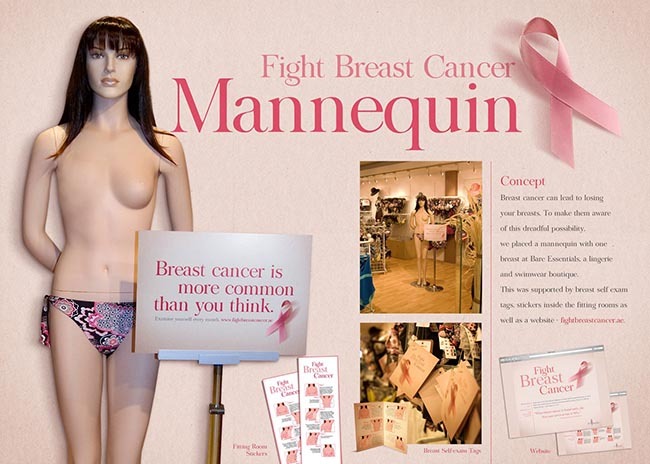 The mannequin was accompanied with a sign, “Breast cancer is more common than you think”, along with fitiing room stickers and tags on clothing. A website, fightbreastcancer.ae, provided additional information and links for help and support. The Mannequin campaign was developed at Memac Ogilvy, Dubai, by executive creative director Till Hohmann, creative director Dalbir Singh, art director Rafael Rizuto, copywriter Nisha Wagh, graphic designer Regina Groffy, production director Gregory Richmann, PR account director Leila Amar, account executive Rana Awad, marketing manager Cheryl Mason, with Deja Vu executive producer Manasvi Gosalia.